Good apple loading opportunities for produce truckers should remain throughout the season which normally continues into August. This will be particularly true for Washington state, the nation’s leading apple shipper. There are significant differences in U.S. apple shipments by region, but fresh market apples remaining in storages stood at 120.3 million bushels on December 1st. This is an increase of 13 percent over a year earlier and 12 percent more than the five-year average of 107.5 million bushels. New York state easily leads apple shipments in the Northeast and was particularly hit hard by cold weather at blossom time. Plus a persistent drought during the growing season didn’t help New York or other Northeastern apple shippers. New York apples in storage as of last November 1st were down 28 percent from the same date a year earlier. Also of interest is Michigan apple shipments now rank number 2 in the nation, having surpassed New York. Michigan apples in storages were 17 percent higher last November than the previous season, thanks primarily to good growing conditions. Apples remaining in storage in the Western states, led by Washington, were 17 percent higher on November 1st than a year earlier. Nationally, the total number of apples in storage was 179 million bushels, 11 percent more than the previous year total of 161 million bushels. Apples are big business. The fruit had totaled $2.9 billion in total sales as of October 29th, or 7.3 percent more than the same period in 2015. Gala was the dominant variety, with $670.5 million in sales, followed by Honeycrisp, $541.5 million; fuji, $386.6 million; granny smith, $330.9 million; red delicious, $311.3 million; Pink Lady, $157.5 million; golden delicious, $129.2 million; mcintosh, $80.5 million; and Ambrosia, $60.9 million. Apple growers in Michigan harvested an estimated 31 million bushels in 2016, compared to New York’s total of an estimated 28 million bushels. Washington had its second-largest apple crop in history — 137.4 million bushels as of November. The record is the 2014 crop of 142 million bushels. There are 7 million more cartons of red delicious and 5 million more of galas remaining in Washington storages, compared to 2015. Apple shipments from Eastern growing areas hasn’t been as fortunate. There was a record cold snap in mid-April in Pennsylvania and other states, which may have reduced the New York and Pennsylvania crops by up to a third. Yakima Valley (WA) apples and pears – grossing about $6400 to New York City. Western Michigan apples – grossing about $3100 to Dallas. Des Moines Truck Brokers introduces a brand new app for truck drivers. Proprietary to DMTB, the app is FREE to drivers. This innovative new convenience is now available at both Apple and Android App Stores. Just go to the store on your phone and put in – DMTB. The new app puts drivers in charge! It will deliver load information. Rate confirmations can be signed and automatically sent back right from the app. Drivers will be glad to hear that comments and reefer temperatures can be added. Check calls become automatic for pick up, delivery and enroute. The driver can do it all anytime, from anywhere. The DMTB Driver App is free to carriers and drivers. It provides access to the DMTB load board and quick links to DMTB social media. It even shows locations of nearby truck stops, Walmarts and weather. This article was reprinted from the April 2016 issue of Dashboard, the online publication of Des Moines Truck Brokers. 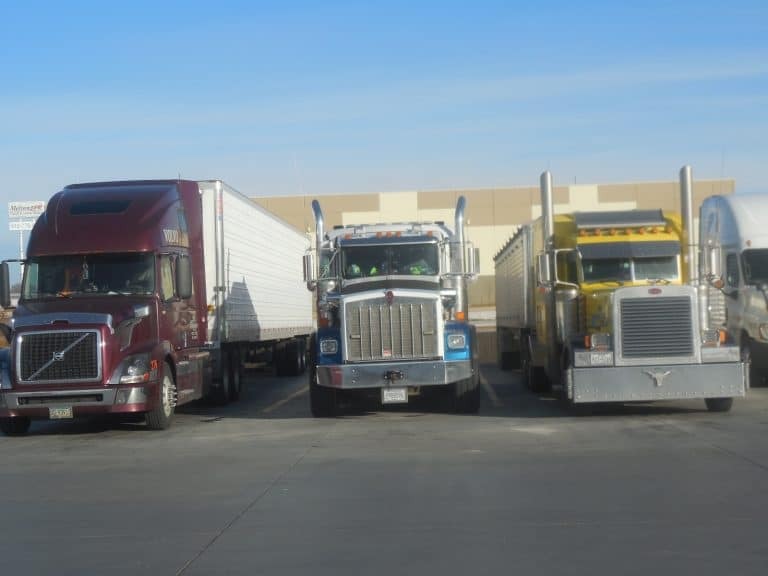 Des Moines Truck Brokers, Inc. was started over 46 years ago and is a full service third party transportation logistics provider. Our professional staff offers over a century of transportation and traffic management experience to assure excellent customer satisfaction. The company delivered over 10,000 truck loads last year. Over 98 percent of these loads were on time. Our reputation for paying carriers fast is second to none. Also, we have a claims ration of less then ½ of 1 percent over the past five years. Des Moines Truck Brokers, Inc. knows that Service is all we have to sell. Carrier Transicold celebrated the 10th anniversary of the debut of its hybrid diesel-electric Vector™ trailer refrigeration platform in North America at the 2016 Mid-America Trucking Show last week. By coupling a high-performance generator to a diesel engine for the sole purpose of powering an all-electric refrigeration system, the Vector platform streamlined the traditional architecture of transport refrigeration units (TRU). Its hybrid diesel-electric technology eliminated many mechanical components used in conventional systems, resulting in reliable refrigeration performance with reduced maintenance needs. Carrier Transicold is a part of UTC Climate, Controls & Security, a unit of United Technologies Corp. (NYSE: UTX). “After all these years, the Vector platform continues to remain unique among TRU designs used in North America,” said David Brondum, director product management and sustainability, Carrier Transicold. “The Vector platform design eliminated many serviceable components, such as belts, shaft seals, vibrasorbers and alternators. With fewer serviceable parts, there is less maintenance, which remains one of the key attractions of the technology,” added Brondum. The Vector platform’s E-Drive™ all-electric refrigeration system enabled electric standby to become a standard feature. Use of electric power when a TRU is parked for loading, unloading or staging enables the diesel engine to be shut off, eliminating fuel use, noise and emissions. Any fleet with access to a 460 volt power supply can simply plug in and run the Vector unit at the same full refrigeration capacity that diesel operation provides. Although the Vector platform was introduced to North America in 2006, the technology had already proven itself in Europe, where Carrier introduced it in 1999. Today’s 8000-series Vector units are the third generation North America units and boast significantly higher cooling capacities and operating efficiency, consuming less fuel per Btu. Designed for compliance with the U.S. Environmental Protection Agency’s Tier 4 standard for particulate emissions, the Vector 8500 single-temperature unit and Vector 8600MT multi-temperature unit also produce fewer greenhouse gas emissions than prior models. The Vector 8100 is engineless – a plug-in-only unit intended as an alternative for trailers used for stationary cold storage that would otherwise use a diesel-powered unit. In the spirit of continued innovation, Carrier Transicold also showcased an expanded line of Thin Film Flexible Solar Panels at the Mid-America Trucking Show. Used for TRU battery charging, the solar panels are now offered in three different power output levels to accommodate a wider range of user needs and budgets. Additionally at the show, Carrier Transicold featured its X4™ Series of belt-driven trailer refrigeration units, Supra® diesel-powered truck refrigeration units, Comfort Pro™ auxiliary power units and more. 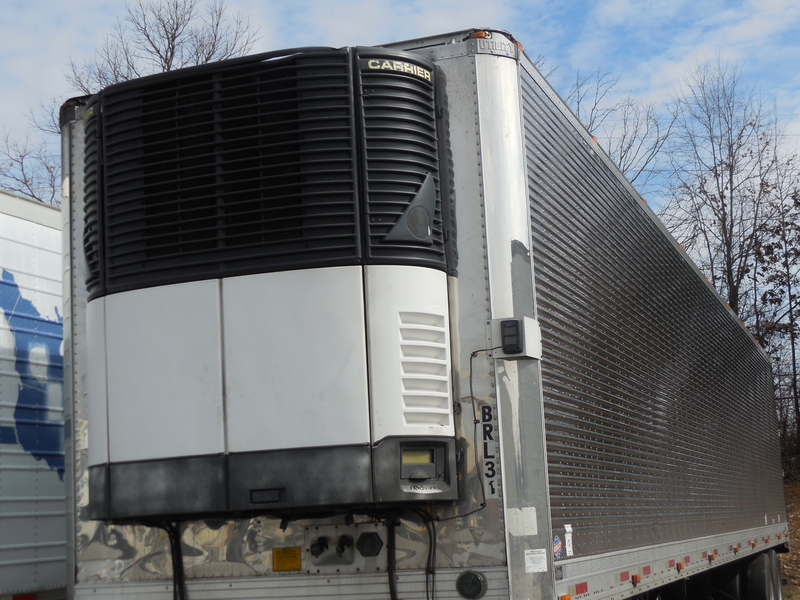 For more information about the Vector trailer refrigeration platform and other transport refrigeration innovations, turn to the experts within Carrier Transicold’s North American dealer network or visit www.transicold.carrier.com. The Big Rig HD department is raising the bar for quality with the first of many turbo applications to come. The new HD turbo, part number 56250 is a direct replacement for 6 of the most common Caterpillar applications. 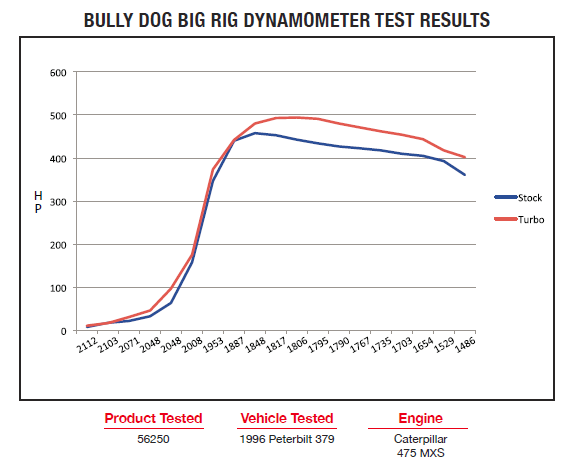 What makes the Bully Dog turbo better than the rest? Quality parts from start to finish. Our turbo is triple balanced to 180,000 RPM’s, assembled with quality copper thrust washers and journal bearings, and topped off with a billet wheel. 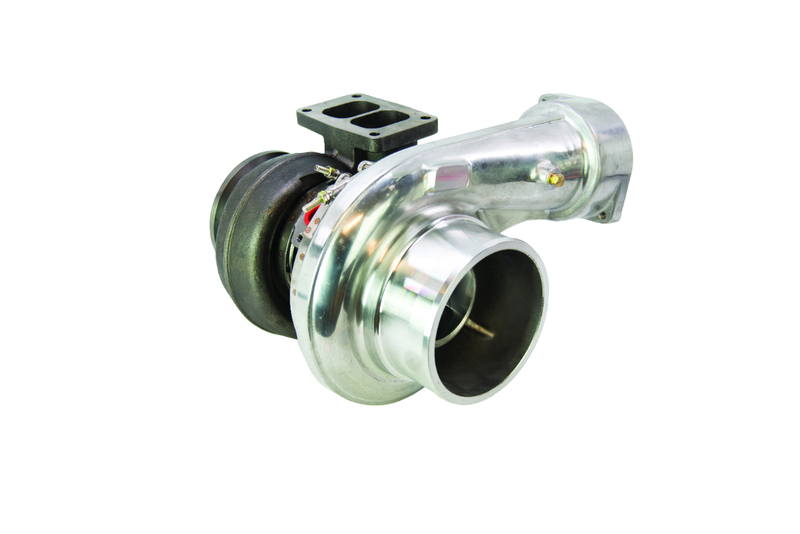 We back up our heavy duty turbo with a one year warranty. We keep our customers in mind by making the purchase hassle free with NO core charge. Bully Dog’s products are designed for economy AND power in order to give users what they need, when they need it. They have more to offer the Heavy Duty market than ever before, and want to connect with the folks who NEED their products. Our sales team will be at the Truckers Jamboree July 9-11, 2015 to show big rig drivers how they can boost their rigs power, pull, and fuel economy using Bully Dog. Visit us across the way from the Pork Chop Tent. Take Exit 284 for Walcott, Iowa. See you there! 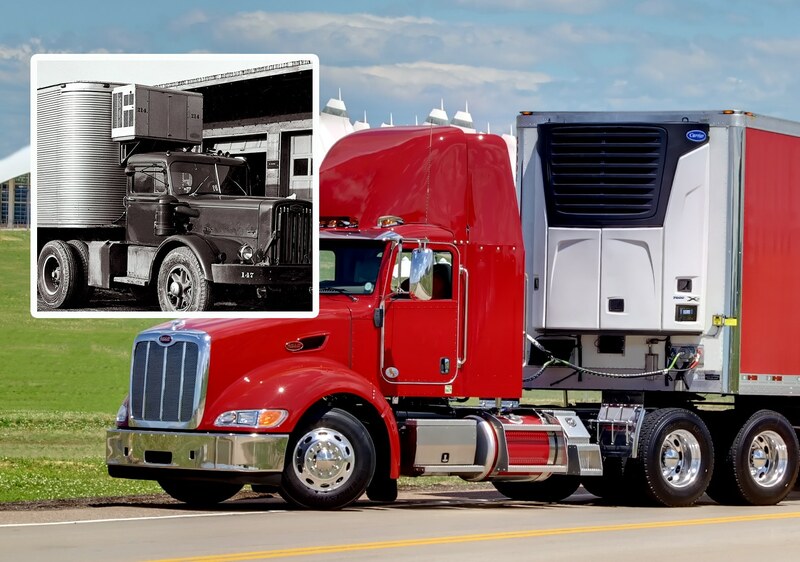 Carrier Transicold of Athens, GA is celebrating a double anniversary this year: 75 years of Carrier road transport refrigeration innovation and the 45th anniversary of the Carrier Transicold business. Carrier Transicold helps improve global transport and shipping of temperature controlled cargoes with a complete line of equipment for refrigerated trucks, trailers and containers, and is a part of UTC Building & Industrial Systems, a unit of United Technologies Corp. (NYSE: UTX). 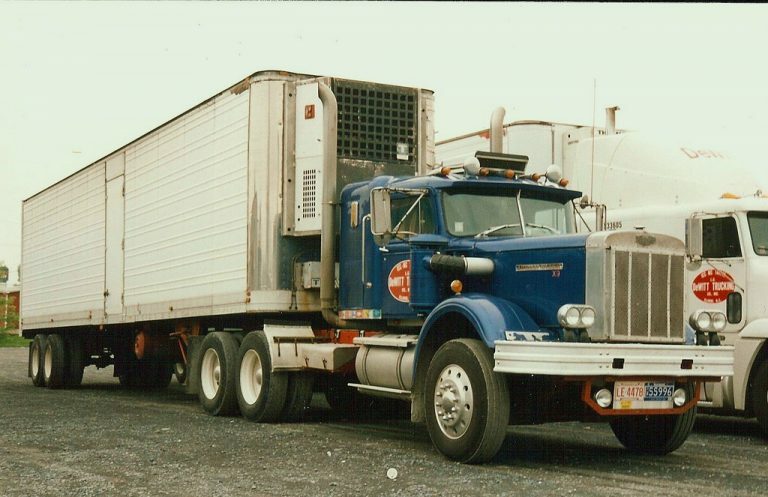 The Carrier Transicold brand was formed in 1970, when Carrier acquired the California-based transport refrigeration equipment maker Transicold Co. and combined it with its Special Products Division, which had experience in trucking applications extending back to 1940. The business was responsible for all types of transport refrigeration, including ocean-going container refrigeration that it had pioneered in 1968. Carrier’s first foray into truck refrigeration in 1940 included the application of its model 7K refrigeration compressors in early systems. Although haulers had experimented with mechanical refrigeration since the 1920s, most transport refrigeration methods by 1940 still used ice/salt or dry-ice/gravity flow refrigeration systems. The initial success with the rugged 7K compressor led to the development of a complete truck refrigeration system for trucks and trailers, Carrier’s Type 68D unit. Available in two sizes, the Type 68D used a four-cylinder gasoline engine coupled to a high-speed compressor. The relatively compact and adjustment-free unit boasted minimal moving parts, making it durable enough for the often rough conditions encountered by refrigerated trucks with bodies ranging up to 35 feet in length. The logistical improvement eliminated the need for haulers to replenish ice and assured more uniform temperature control over greater distances, helping to pave the way for long-haul refrigerated trucking. Today, streamlined designs with minimal moving parts remain hallmarks of Carrier Transicold systems, as demonstrated by Vector™ trailer units, featuring EDrive™, all-electric refrigeration technology and Carrier’s X4™ series of mechanical trailer units, which have a reputation for high capacity, reliability and ease of service. In contrast to those early systems, today’s transport refrigeration units provide cooling power to haul perishable and frozen loads in 53-foot trailers, intermodal containers and railcars ranging up to 72 feet in interior length. Recent innovations from Carrier Transicold, driven by Tier 4 engine emissions regulations, have further improved fuel economy and reduced carbon emissions. Carrier Transicold’s operations have expanded worldwide, with manufacturing facilities located in Athens, Ga., Rouen, France, Singapore and Shanghai. Today, Carrier Transicold plays a growing role as a critical link in enhancing the efficiency of the cold-chain, ensuring that perishables such as food and pharmaceuticals reach consumers in developed and developing countries. The Problem: When a perishable load arrives too warm or too cold, the Receiver is typically required to print, email, and/or fax temperature charts to buyers, suppliers, carriers, QA, and accounting departments. Sometimes, Receivers get busy, and this whole process gets delayed. The Solution: Cargo Data’s free UpLink feature allows any interested party to view temperature recorder data within mere moments of arrival at the Receiving Dock with NO additional staff input. This system supports ALL models and versions of Cargo Data temperature recorders. Receivers can forever be done with distributing temp charts! UpLink also provides permanent temperature data archiving compliance for upcoming FSMA section 1.906 (d) regulations. More than three million heavy-duty Class 8 trucks move 9.2 billion tons of freight annually along America’s arterial highways, according to the American Trucking Associations. It takes over 37 billion gallons of diesel fuel to move this freight, costing over $121 billion. Fuel costs are the largest variable cost in trucking. How can you control this? Invest in simple technology to boost mpg. One man is doing exactly that. Meet Daniel and his wife, Phyllis Snow, of Snow Trucking who are adopting the latest technology to slash fuel costs and become more competitive in the dry freight business. By employing a methodical, almost scientific, approach to evaluating new technologies, the husband and wife team have transformed their 1996 freightliner classic XL with over 1.8 million highway miles from a 4.8 mpg vehicle to 7.5. Two years later, the couple has documented savings of $30,000 in diesel fuel costs for the truck they affectionately refer to as “the Goose.” If every operator was as progressive as the Snow’s, the industry would save billions in fuel, not to mention the positive impact on the environment. In 2012, the husband-and-wife team made the move from hauling livestock on a regional basis to dry freight runs throughout the Central and Southern United States. Facing stiff competition, they quickly realized that they needed to re-think their fixed and variable costs. At the time, fuel costs for the Goose was a whopping 48% of their total expenses. So the couple decided to marry their old school professionalism and service with a commitment to apply new technologies that could drive down fuel costs. To accomplish this, Snow engaged in a step-by-step approach to document fuel consumption and any associated savings. They identified and installed various fuel saving devices and then kept detailed notes and calculations. No two devices were applied at the same time. “Just about everything we do, we do in phases. That way we know exactly what each individual product is doing for us,” says Snow. At the top of Snow’s list was investigating high-performance gauge tuners that help reduce fuel consumption and improve engine performance. While not all gauge tuners are equal, these devices typically focus on tuning the engine control module (ECM) to improve performance and then some provide additional features such as a driving coach or diagnostic reader. Besides the obvious discriminator of wanting the tuner that optimized fuel savings the most, Snow insisted on being able to upload the tune himself and not mail away his ECM, which would result in significant big rig down time and lost revenue. “We wanted to buy the tuner, not just a tune,” says Snow. All of a sudden, the list of options became very thin. In fact it melted away to one – the Heavy Duty Gauge Tuner (HDGT), a Bully Dog product from Derive Systems. Snow installed the device on the Goose’s 60-series Detroit Diesel in January of 2013. Describing himself as “mechanically inclined, but not computer inclined” he was able to plug it in, follow the prompts on the screen, and complete a short download in less than 15 minutes. “I was really impressed with how simple it was to plug-and-play,” says Snow. The unit was installed, while he and his wife were on the road, at a shipper’s facility in Atlanta, Georgia. This was significant, because the couple had recently completed three identical runs from Atlanta to the final destination in Texas. “We had completed that run several times, so we knew exactly what that load cost us,” explains Snow. The initial test run of the engine programmer yielded an immediate saving of $174. Snow then began calculating the fuel savings every 1,000 gallons of fuel; after calculating the results, the Goose had gained 1.4 mpg on average. The next step was to take advantage of the HDGT’s unit’s “driving coach,” which offers tips that help develop positive driving habits to improve fuel economy. “We started adjusting our driving habits using the monitor and gained another 0.7 miles per gallon, just by plain old driving better,” says Snow. Over the past two years, Snow has traveled 236,000 additional miles with the engine tuning software and saved over $30,000. To squeeze out even more fuel savings, the couple also installed a SmartTruck Undertray system on their trailer to smooth the rig’s aerodynamic profile. This change netted an additional 0.4 mpg. Finally, they installed another Bully Dog product from Derive Systems, a ceramic-coated exhaust manifold that added 0.2 mpg. The grand total was an additional 2.7 mpg, boosting The Goose from 4.8 to 7.5 mpg. It may seem counterintuitive, but the recent decreases in diesel fuel prices actually makes increasing fuel efficiency even more critical. Savings from the decrease in fuel prices are often offset by plummeting freight rates. Even if both were to drop proportionally, this doesn’t take into account the fixed costs of trucking – insurance, tags, and trailer payments – that don’t change. So what does Snow intend to do with the money he saves? In addition to paying his personal bills and setting a little aside for retirement in the not-too-distant future, the couple would like to contribute more to charities, indulge in good food and add more chrome to the Goose. “The more money we don’t have to put in the fuel tank, the better; and the more money we have for ourselves and others,” concludes Snow. By Marissa Muller, Derive Systems. 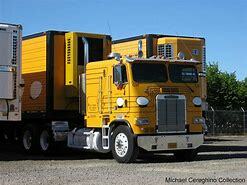 Many, if not most truckers have read or heard about new technology creating driverless big rigs. Well, here is a driverless tractor; not as in tractor trailer, but as in a farm tractor. Liz Truss received a demonstration of a ‘hands-free’ tractor on a visit to one of Cornwall’s (U.K.) largest cauliflower growers. Riviera Produce’s £100,000 investment in next generation farming was wheeled out for the recent visit of the Defra secretary. Used by an increasingly growing number of farmers, the GPS-guided tractors use high-accuracy automated systems to independently steer themselves and calculate the correct position of the tractor in areas with rolling slopes and rough ground, thus enabling the farm to produce the best possible crops. Brassicas are worth over £650 million to the fresh produce industry, and it is expected that even more farms will introduce these next-generation driverless tractors in the coming years. 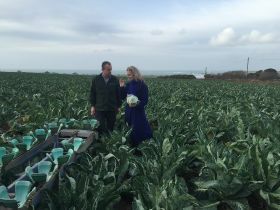 David Simmons, MD of Riviera Produce, and supporter of the Brassica Growers’ Association’s Love Your Greens campaign, said: “With its precision technology, GPS has improved the quality of the cauliflowers, broccoli and cabbages we grow, ensuring our customers get maximum satisfaction from our produce. Cargo Data is pleased to announce its new Boomerang 2 chart-view reusable temperature recorders. These versatile instruments provide a full temperature chart view without the need to connect the instrument to a computer or reader. 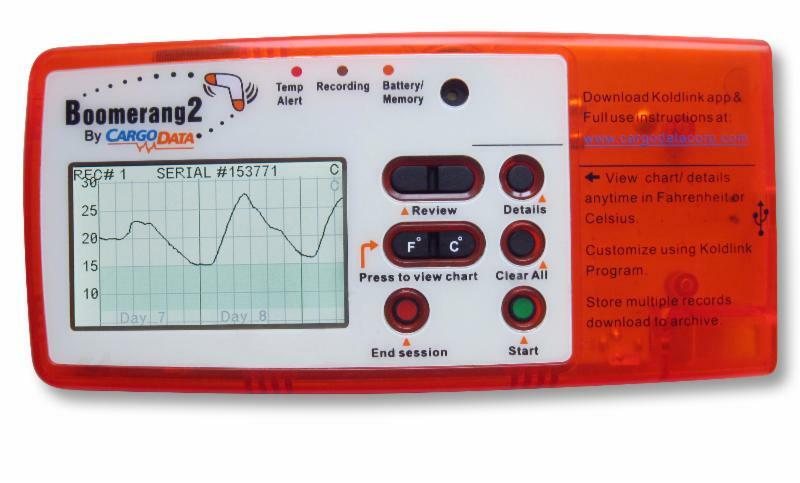 Boomerang 2 instruments can be used to monitor cold storage warehouses, moving trucks/trailers, ocean containers, or any other temperature controlled space. Boomerang 2 has a large internal memory which saves data from multiple monitoring sessions. All temperature data can be viewed, saved, and printed using Cargo Data’s free KoldLink software. Simple micro-usb connectivity. User can configure run time, sampling intervals, ranges, and optional audible locating beeper. User replaceable battery provides 6 months of continuous monitoring. For complete information about Boomerang 2 temperature recorders call 800-338-8134 or email information@cargodatacorp.com . ATHENS, Ga. — The California Air Resources Board (CARB) has given Carrier Transicold full verification for its engine emissions system (EES) option as a level 3+ verified diesel emission control device. “This is yet another significant milestone in the planned rollout of our latest trailer refrigeration platforms and emissions compliance devices as we continue to provide refrigerated fleets with technology options and compliance choices that best suit their particular operations,” said David Kiefer, director of sales, marketing and product management, Carrier Transicold. Last year, CARB gave the EES a conditional verification, that allowed its installation on certain models and generator sets with up to 3,000 hours of engine operations. With full verification, the 3,000 hour condition is removed, allowing the EES installation on any of the model, regardless of the accrued hours of operation. Installed as a substitute for a standard exhaust system, the EES filters exhaust using a high-performance diesel oxidation catalyst (DOC) and a catalytic diesel particulate filter (CDPF). The DOC removes more than 93% of hydrocarbons and the CDPF reduces more than 98% of particulate matter, well beyond the 85% ULETRU requirement. No operator intervention is needed because the EES uses passive, active and active-assist regeneration to clear accumulated soot.